Even when you build something really, really nice, there’s always room for improvement, right? As it turns out for this attempted upgrade to a DIY spot welder, not so much. You’ll no doubt recall [Mark Presling]’s remarkably polished and professional spot welder build that we featured some time ago. It’s a beauty, with a lot of thought and effort put into not only the fit and finish but the function as well. Still, [Mark] was not satisfied; he felt that the welder was a little underpowered, and the rewound microwave oven transformer was too noisy. Taking inspiration from an old industrial spot welder, he decided to rebuild the transformer by swapping the double loop of battery cable typically used as a secondary with a single loop of thick copper stock. Lacking the proper sized bar, though, he laminated multiple thin copper sheets together before forming the loop. On paper, the new secondary’s higher cross-sectional area should carry more current, but in practice, he saw no difference in the weld current or his results. It wasn’t all bad news, though — the welder is nearly silent now, and the replaced secondary windings were probably a safety issue anyway, since the cable insulation had started to melt. Given [Mark]’s obvious attention to detail, we have no doubt he’ll be tackling this again, and that he’ll eventually solve the problem. What suggestions would you make? Where did the upgrade go wrong? Was it the use of a laminated secondary rather than solid bar stock? Or perhaps this is the best this MOT can do? Sound off in the comments section. Just how much metaphorical juice is in a coin cell battery? It turns out that this seemingly simple question is impossible to answer — at least without a lot of additional information. The problem is that the total usable energy in a battery depends on how you try to get that energy out, and that is especially true of coin cells. For instance, ask any manufacturer of the common 3 V lithium 2032 batteries, and they’ll tell you that it’s got 230 mAh. 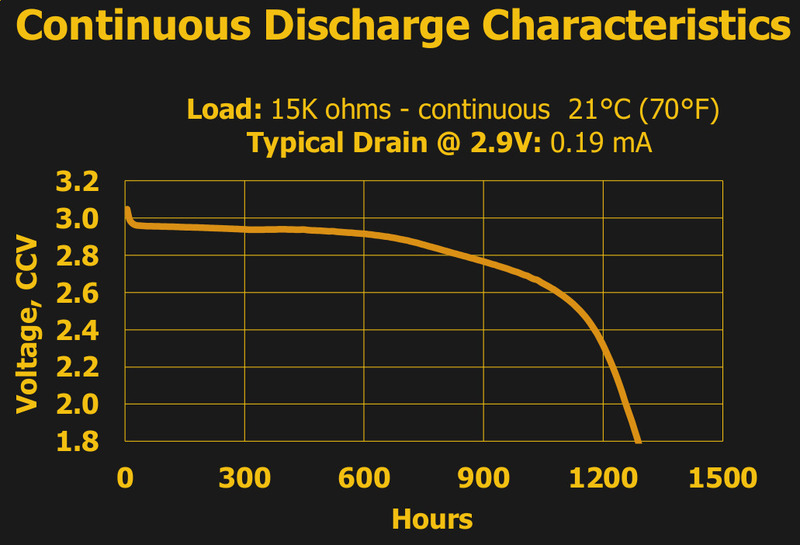 That figure is essentially constant across brands and across individual cells, and if you pull a constant 0.2 mA from the battery, at room temperature and pressure, you’ll get a bit more than the expected 1,150 hours before it dips below the arbitrary voltage threshold of 2.0 V. Just as it says on the tin. What if you want to do anything else with a coin cell? Run an LED for a decade? Pull all the energy out right now and attempt to start a car? We had these sorts of extreme antics in mind when we created the Coin Cell Challenge, but even if you just want to do something mundane like run a low-power radio sensor node for more than a day, you’re going to need to learn something about the way coin cells behave in the real world. And to do that, you’re going to need to get beyond the milliamp hour rating. Let’s see how deep this rabbit hole goes. The ESP-14 takes the phenomenally powerful ESP8266 chip and buries it underneath one of the cheapest microcontrollers around: the 8-bit STM8S003 “value line” chip. Almost all of the pins of the ESP chip are locked inside the RF cage’s metal tomb — only the power, bootloader, and serial TX/RX pins see the light of day, and the TX/RX pins are shared with the STM8S. The rest of the module’s pins are dedicated to the STM8S. Slaving the ESP8266 to an STM8S is like taking a Ferrari and wrapping it inside a VW Beetle. I had never touched an STM8 chip before, and just wanted to see what I could do with this strange beast. In the end, ironically, I ended up doing something that wouldn’t be too far out of place on Alibaba, but with a few very Hackaday twists: a monitor for our washer and dryer that reports power usage over MQTT, programmed in Forth with a transparent WiFi serial bridge into the chip for interactive debugging without schlepping down into the basement. Everything’s open, tweakable, and the Forth implementation for the STM8S was even developed here on Hackaday.io. It’s a weird project for the weirdest of ESP modules. I thought I’d walk you through it and see if it sparks you to come up with any alternative uses for the ESP8266-and-STM8S odd couple that is the ESP-14.